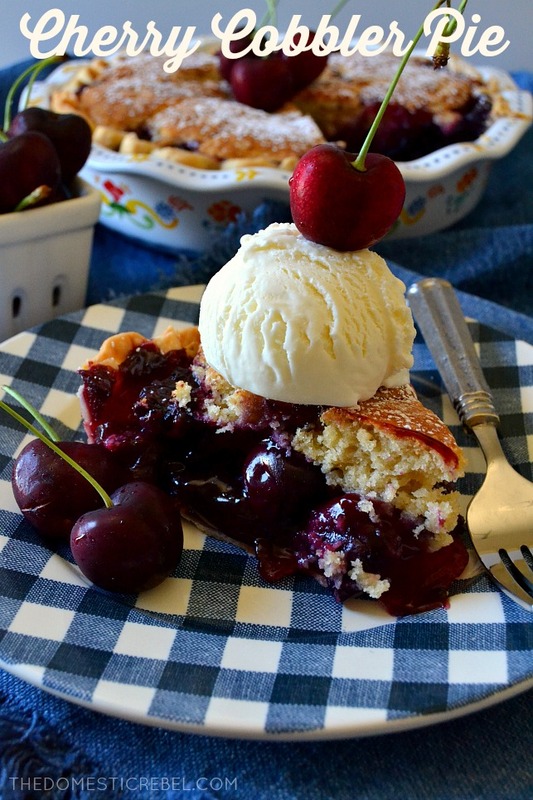 Summertime is all about CHERRIES, and this Cherry Cobbler Pie is out of this world! From the homemade gooey cherry pie filling to the sweet, biscuit-like cobbler topping, everything about this dessert is perfect! Y’all. Where have I been? I feel like it has been a million years since I posted. I don’t really have a good reason for my absence except that it’s a bajillion degrees outside, I’m lazy, I got a part-time job, and I’m still feeling uninspired. 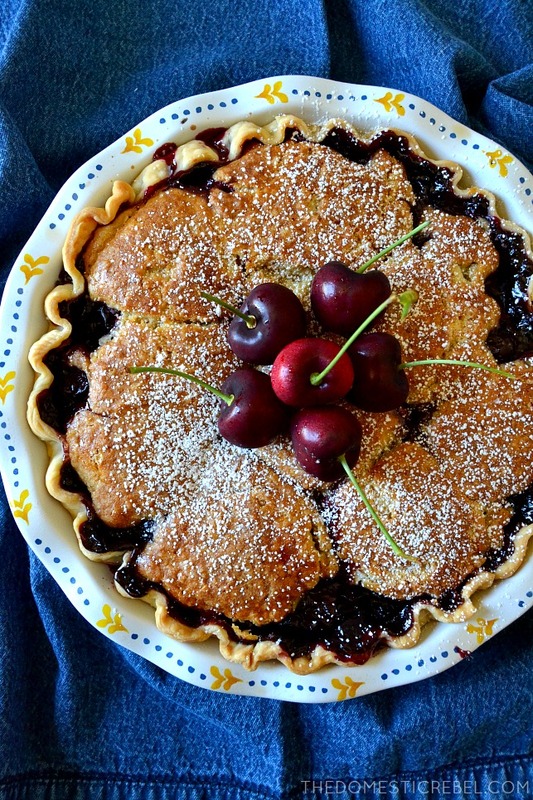 But when I received a huge box filled with juicy, dark ruby cherries last week, I finally felt a spark of inspiration: a cherry pie! Fruit pies and cobblers are pretty popular in the summertime because fruit is so bountiful, and I happen to be sorely lacking in the fruit cobbler and pie department. 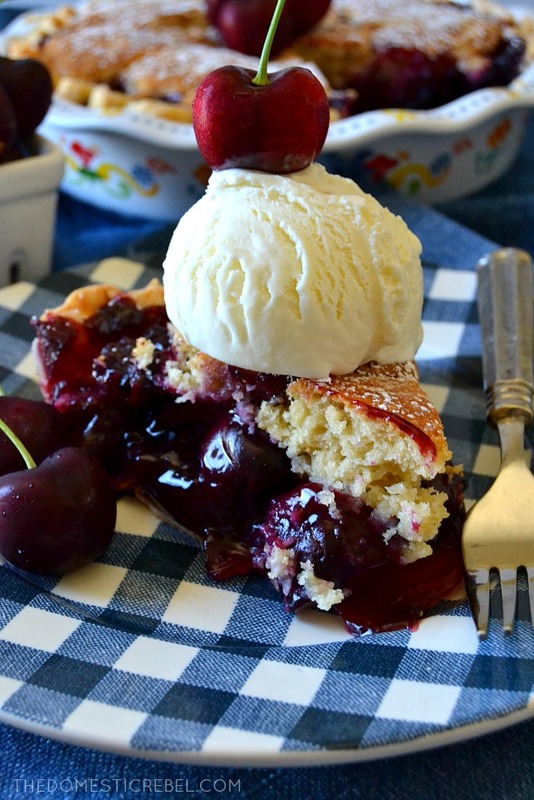 Maybe it’s because stone-fruits aren’t my favorite… but I changed my tune with this Cherry Cobbler Pie! 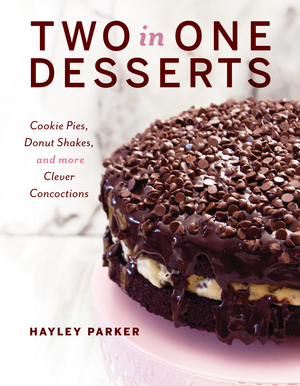 The idea came from my second book, Two in One Desserts, in which I have a Berry Cherry Cobbler Pie very similar to this. Of course, since my books are focused on the semi-homemade dessert approach, I used canned cherry and berry pie fillings in that recipe, but since I had an abundance of fresh Washington cherries at my disposal, I decided to make my own pie filling. You guys – it is SO simple! I was almost skeptical, like – is it really this easy? YES! Just as easy as cracking open a can, I promise! However, I have a small confession – I hate making pie dough! I know, I know – bad baker alert. So the only part of this ‘homemade’ pie that isn’t homemade is the pie crust. However, if you have a favorite homemade pie crust recipe, please use it! OH! And if you’re looking for the best cherry pitter ever – look no further than HERE! 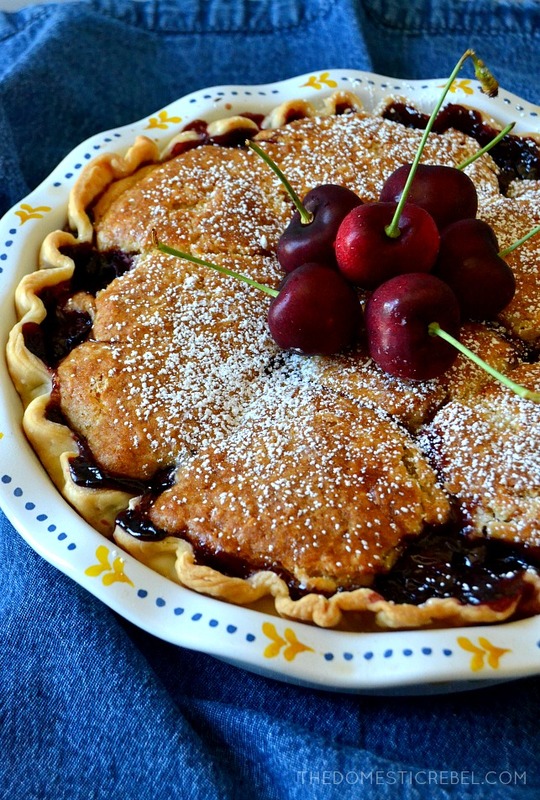 <– this one from Sur La Table is such a steal and pits seven cherries at a time which is such a time-saver! I meeeean… check out that filling! 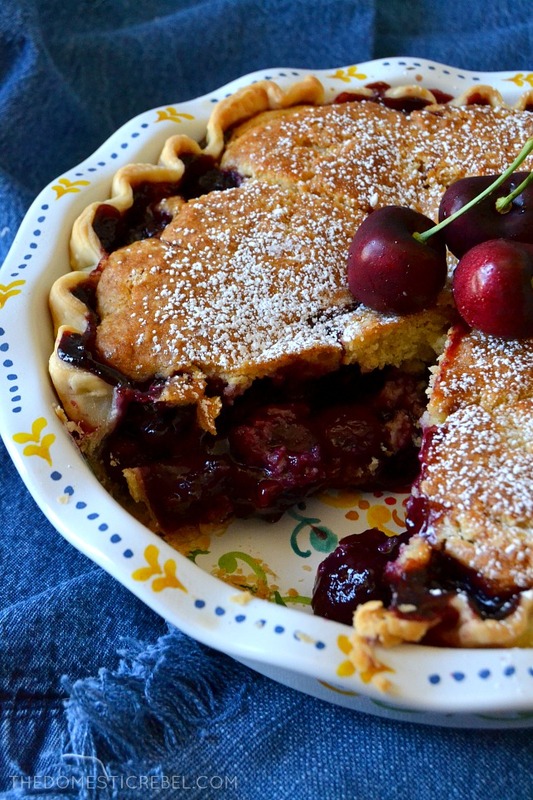 It is bursting with fresh, bright, juicy cherry flavor and tastes incredible with that flaky pie crust and fluffy, golden brown biscuit cobbler topping. All that’s missing is a big ol’ scoop of vanilla ice cream! 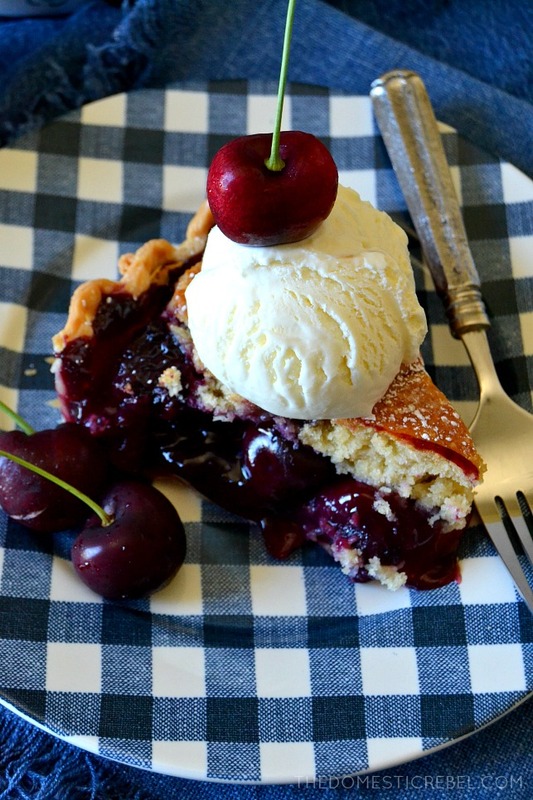 This Homemade Cherry Cobbler Pie is bursting with incredible flavor from fresh cherries, a fluffy biscuity cobbler topping, and a flaky butter pie crust! Don't forget the scoop of ice cream! Preheat oven to 350 degrees F. Lightly grease the bottom of a deep dish 9" round pie pan. Drape the pie crust evenly over the pie plate and press the crust into the bottom and up the sides of the pan. Crimp the edges if desired. To make the cherry pie filling: In a large saucepan, whisk together the granulated sugar and cornstarch together off the heat until combined. Pour in the cherry juice and whisk until smooth. Add in the cherries and turn on medium-high heat. Bring to a boil and stir constantly, boiling for 2 minutes or until thickened. Remove from heat and allow to cool for 5-10 minutes. For the cobbler topping: In a medium bowl, whisk together the sugars, flour, and baking powder until combined. Add in the cubes of butter and use a pastry cutter to blend the butter into the flour mixture until it resembles coarse crumbs. 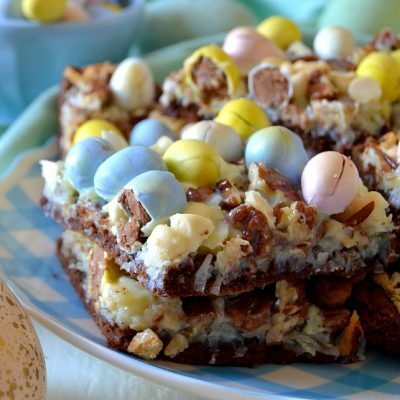 Add in the milk and lightly beaten egg and stir lightly until a shaggy dough just barely comes together - do not over mix! For assembly: Pour the pie filling evenly into the pie crust. Drop heaping Tablespoonfuls of the cobbler mixture evenly over the pie filling. Place the pie plate onto a large rimmed baking sheet to catch any drippings during the baking process. Bake for 50-60 minutes or until the cobbler topping is golden brown, set, and the filling is bubbly. NOTE: Check the cobbler halfway through baking time to see if the topping is browning too fast. 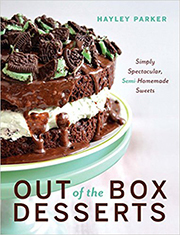 If so, tent foil loosely over the top for the remainder of baking time. Cool about 15-20 minutes before serving warm or at room temperature. 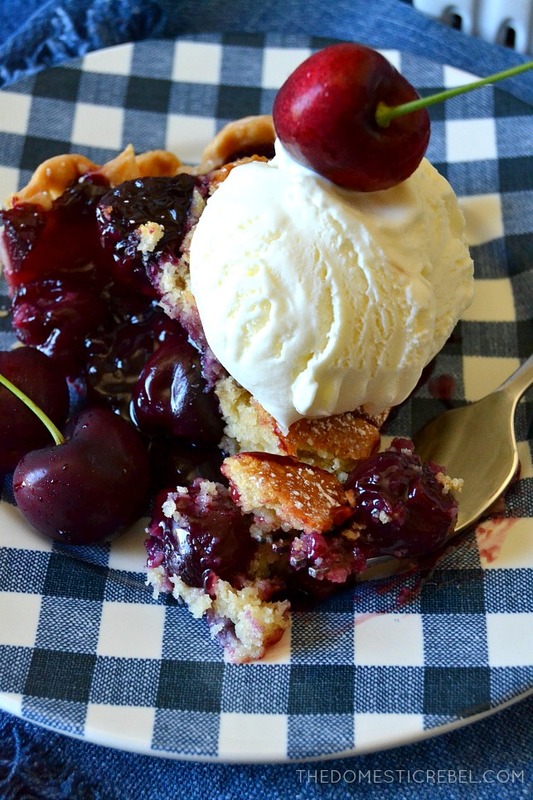 You are going to flip for this delicious cross between bubbly cobbler and a slice of pie! Disclosure – I am an Amazon affiliate and there are links in this post. If a purchase is made using my link, I receive a small commission at no additional cost to you. Thanks for helping keep my blog alive!